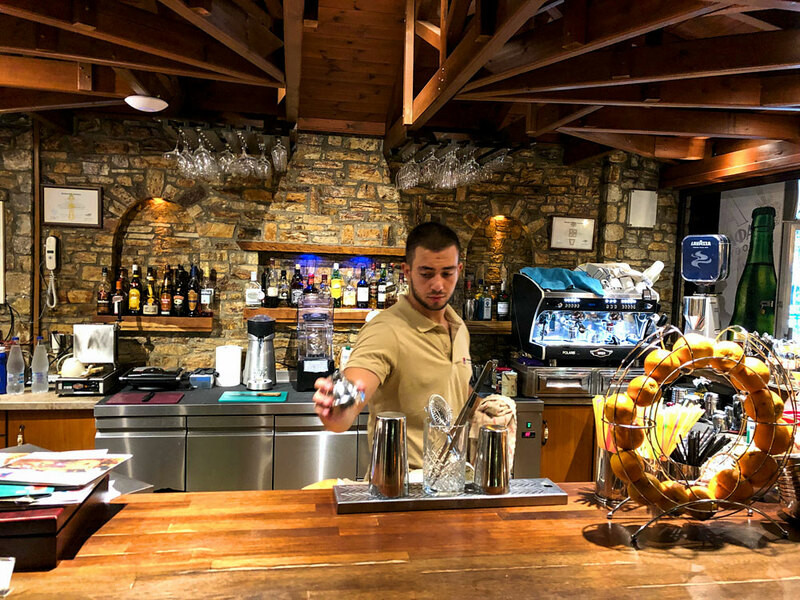 Like the hotel, the cafe - bar is beautifully decorated and offers a beautiful and friendly environment in an authentic traditional atmosphere. 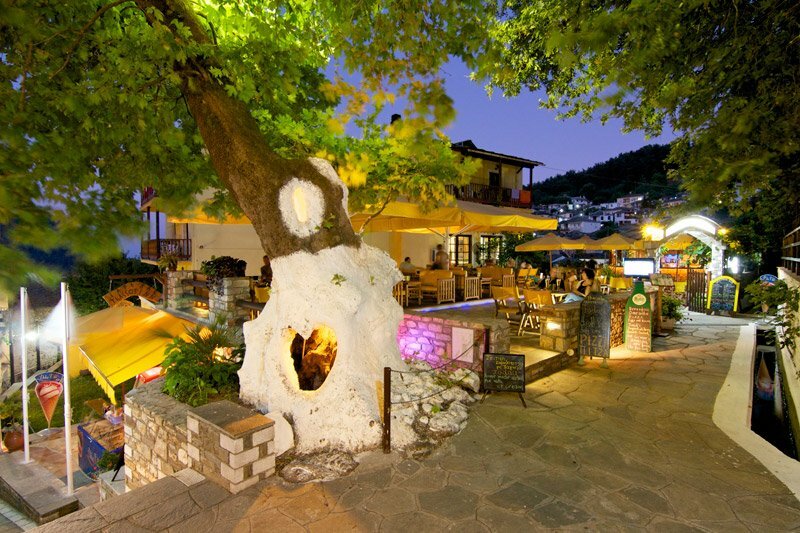 The strong colors with the wood and the stone give here and now the best atmosphere in order to spend relaxing hours with your friends or even alone. 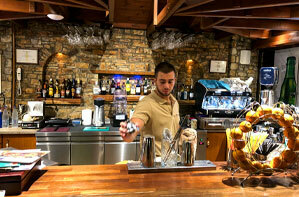 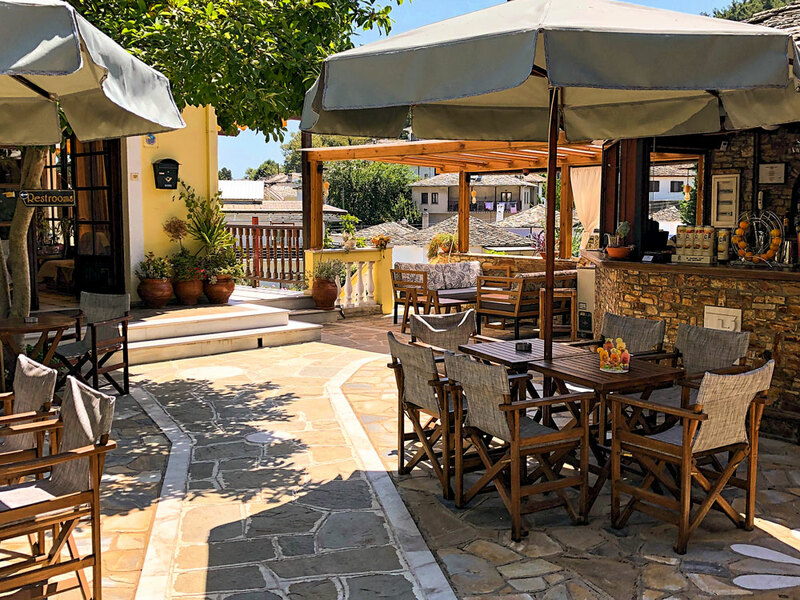 The café – bar is open all day long, so whenever you feel for a coffee and relaxation, you can have at your disposal a beautiful place and the warm atmosphere of Panagia. 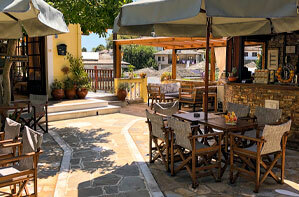 Here you can enjoy fresh juices, coffee and beverages, light snacks, etc.